What is an Illinois Rental Application? Illinois Rental Application: What Is It? In Illinois, a rental application is a document that determines the qualifications of a potential tenant for a rental property or apartment. 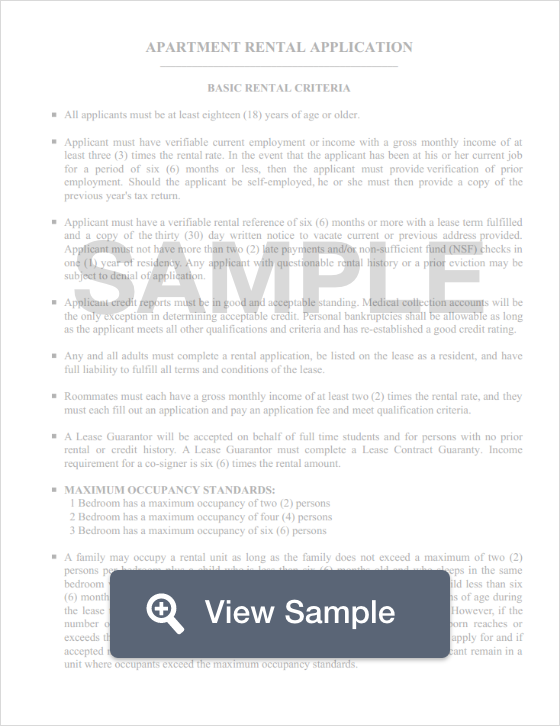 These forms are documents that landlords use to uniformly collect the information of all applicants to help them determine the most worthy applicant. These applications provide an in-depth look into an applicant’s past and current financial and living situation. For example, a rental application may reveal that one applicant makes more money than the rest of the people that applied. However, the rental application (perhaps after ordering a background/credit check) reveals that this same person that makes more money than the other applicants also has a history of evictions, and late credit card payments, proving that they are not the most ideal tenant. The rental application effectively showed the landlord that this person was not a good candidate for this apartment. Rental applications generally come with a free or the landlord to process and order a background/credit check. According to Illinois State Law (765 Ill. Comp. Stat. 710/1; 715/1 to 715/3), a landlord must return a tenant’s security deposit no later than 30 days after they vacate the premises.